Today’s goals were Florida Scrub-Jay and Purple Gallinule. Up at dawn (quite easy down there), I headed to the nearby Jupiter Ridge area. There were two trails, a short one and a long one. I figured I’d start with the short and then do the long if necessary. Halfway around I found a couple Mottled Ducks but no jays. Fortunately, almost back to the car I heard an odd call that sounded vaguely familiar and I very quickly had 2 Scrub-Jays flying around. In and out in 25 minutes. From here, it wasn’t too long a ride to Loxahatchee. After checking the visitor center, I did the cypress trail. 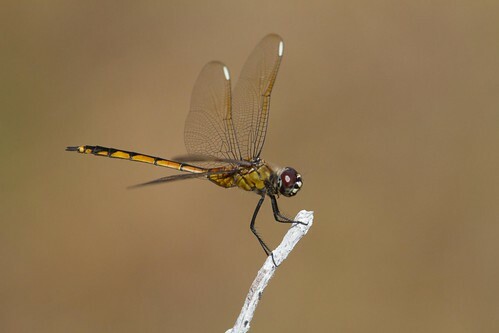 Not much for birds but I had a Phantom Darner on the trail and lots of saddlebags and stuff behind the building. I then headed to the Marsh Trail and worked my way to the far corner, stopping as I found things (including a posing Limpkin, a Florida Baskettail, and various things I’d seen earlier on the trip). Finally at the back, I found a couple Purple Gallinule. 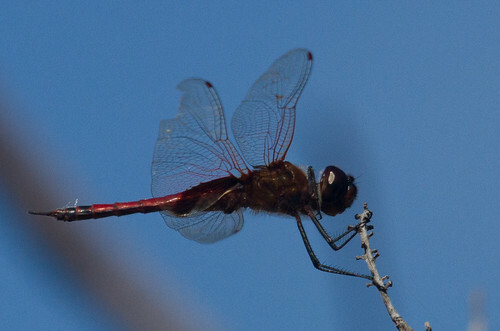 Working back out, I had Hyacinth Glider and Scarlet Skimmer, plus more gallinules. Back at the car, I decided to head back to Bill Baggs and give the La Sagra’s another try. That turned out to not be a great decision. It was hot and pretty birdless. I hung out for about 2 hours with no sign of the flycatcher and a quick walk to the lighthouse didn’t get the cormorant either. And once I returned home, I found out that Smooth-billed Anis were being reported again, which would have been a much better use of my time. Eventually I gave up and headed out to find food. I plugged Subway into the gps and found one that was in downtown with no obvious parking. Instead, I headed up to Fort Lauderdale and figured I’d find something along Las Olas. There were places, all of which were way fancier and costlier than I wanted. I gave up and found a Five Guys nearby. Good but no Larkburger. I then found the hotel (Rodeway Inn, a dump). I cleaned up the car and went to return it. The hotel offered a shuttle back, but I was too tired to figure out where to call and get it, so I just grabbed a taxi and got back to do all the packing. Up early for a 6:00 shuttle. Breezed through checkin and security, easy flight to Atlanta. Enough time in Atlanta to grab some snacks, and then an easy flight back to Boston (other than a long delay on the runway taking off, apparently a plane had driven into a ditch or something and we had to go to the further end possible). Back home midafternoon. Today was a very good, although very long day. I woke up early and realized that with daylight savings time starting, it would be dark until at least 7:30. After lounging around, I got moving and started for Tigertail Beach, stopping to buy breakfast on the way. 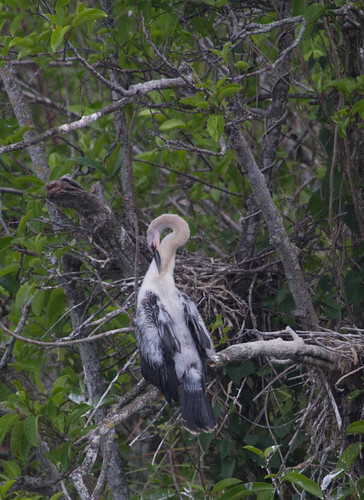 At Tigertail, I enjoyed a few of the close herons and egrets and then started working my down the beach. It quickly became too wet, so I found a gap in the bushes and then a trail through the vegetation (picking up my only Rambur’s Forktail of the trip on the way). 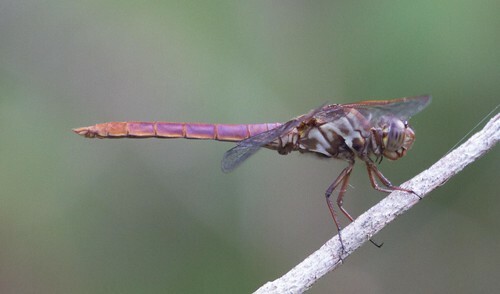 Back on the beach, a few Regal Darners were flying around. Most of the birds were on the opposite shore, easily scopable but not great for pictures. Plovers were abundant and I quickly had my fill of Wilson’s. Snowy took more effort, but I eventually found two (which were flushed before I could even attempt pictures). At one point, I had almost every Charadrius possible in one pan of the scope. Also lots of dowitchers, Willet, Dunlin, Western Sandpipers, etc. After Tigertail, I headed back north towards Corkscrew Swamp. Not a whole lot on the way (couple interesting hawks where I couldn’t stop, a few Wood Storks just outside the sanctuary entrance). I did a full loop here, which took two hours (in the middle of the day). 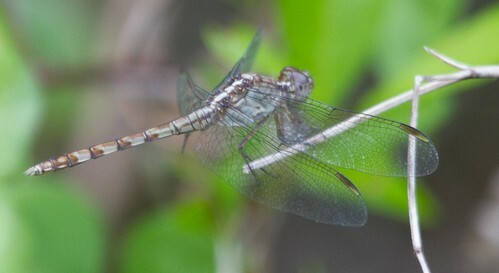 Overall, I didn’t see a whole lot, Swallow-tailed Kites and Yellow-crowned Night-Herons being the highlights of the birds, Ruddy Daggerwing among the insects. I found a Burger King for lunch (and got White-winged Dove in the parking lot) before deciding to head to Miami for a recently reported Black-throated Gray Warbler. The ride across Alligator Alley was easy. 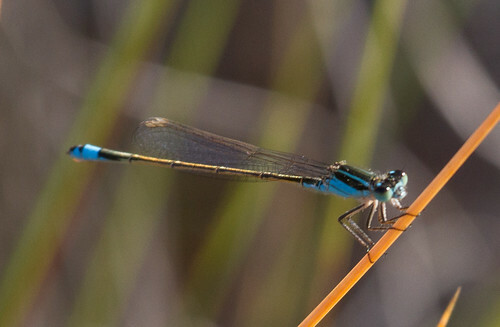 I made one stop on the way, pulling into one of the rest areas and checking the water (getting Florida Bluet). Reaching Greynolds Park, I discovered my GPS directions went to a different entrance from the directions to the bird. I bumbled around a bit and after checking a map, took a guess at the spot. Nothing was immediately obvious, so I wandered a trail through the trees a bit. Returning, I found someone standing around looking like a birder. I quickly asked if I was in the right spot and not only was I, but this was Smith, the finder of the bird. We poked around for a couple minutes and Smith picked the bird up a short distance away. Views were a bit tough as it was way up, but satisfactory, especially after missing the Everglades one. I then got a short tour of the park, adding Louisiana Waterthrush and Indigo Bunting to the trip list, along with another Yellow-crowned Night-Heron. Conditions were deteriorating, so we both headed out. I got back on the highway and started north, aiming to reach the Jupiter area. Check out Smith’s photos (he has much better ones of the BT Gray back a ways). Traffic wasn’t great and I eventually pulled off to find food, settling on a Pollo Tropico, which is a fast food chicken and salad chain. Not too bad. Back on the way, I found a La Quinta in Jupiter, which was a bit on the high side but I wasn’t about to start looking around. Today wasn’t a great day. I started with an early run to Little Hamaca Park in Key West. It was pretty quiet along the trail and I ended up getting lost on a side trail and having to crawl and bushwhack my way back. I walked the road a bit and had a cooperative White Ibis and a neat spider. After going back to the hotel to finish packing, get breakfast, and check out, I realized my plans were a bit off. I was hoping to hit the Botanical Gardens for odes but they didn’t open for a good hour and a half, so I decided to just head out and work my way off the Keys. 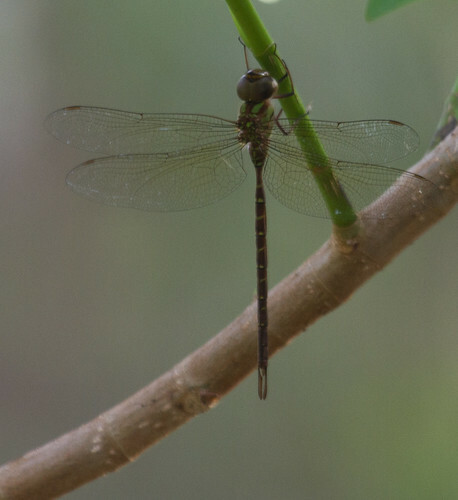 The first stop was at the Blue Hole, where I had Antillean Saddlebags, Florida Duskywing, and a few other things. The next stop was at Grassy Key, where I pulled in quickly and found a Red-breasted Merganser and not much else. Theere were a few festivals going on and traffic was pretty bad, so I kept going (making a quick stop for a muffin and drink) before reaching Dagny Johnson State Park. The park had an admissions box, but no envelopes (and I didn’t have correct change), so I skipped in. There had been another La Sagra’s here a few weeks ago, but it hadn’t been reported recently and it was midday and very hot. 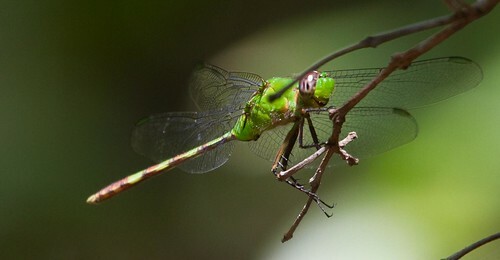 I saw very few birds, but did get some nice butterflies (Giant Swallowtail, Mangrove Skipper, etc) and some Great Pondhawks. At the water, an iguana was running around (too deep into the vegetation for photos though). From here, I headed onto the Tamiami Trail and towards Naples. Most of the way through, I did a quick loop through some of the Big Cypress preserve (adding meadowlark and Eastern Bluebird to the trip list but not a whole lot else). Reaching Naples, I found a hotel and then a Mexican restaurant (shrimp dish was not bad, the chips and stuff before were spectacular but I have no idea what the place was at this point). 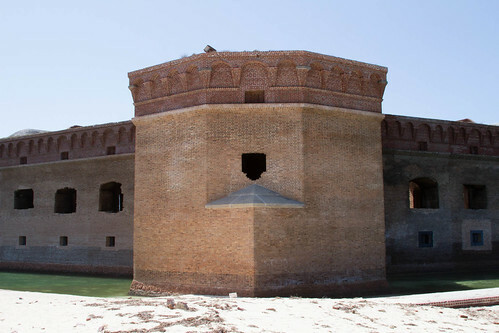 Today I was day-tripping to Dry Tortugas. 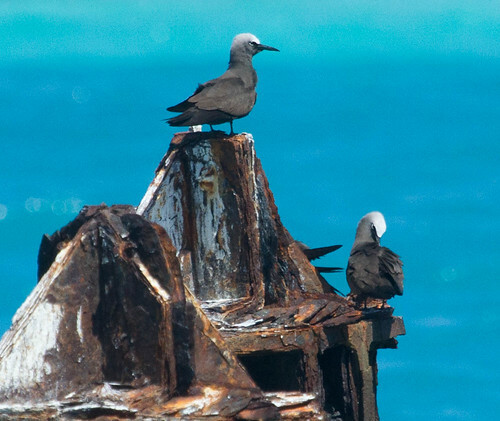 Birders should know all about it, site of the only Sooty Tern and Bridled Noddy colony in the US (ignoring Hawaii) plus a regular spot for boobies and a great spot for migration. I was a bit early for migrants, but otherwise got the full experience. The day began with an early start and a short drive to the parking garage near the dock. A two minute walk later and I was checked in, so I settled down to relax for a few minutes and check out the harbor. A bunch of pelicans and a Great Egret were right in front and I’m moderately sure I was hearing a Chimney Swift or two overhead. Around 7:30, we got the introductory lecture and boarded the boat. I wandered around a bit and then decided to get breakfast before finding a seat for the trip out. The cereal and juice were fine but I’m fairly sure that the grapes had dried spiders among them. After quickly eating, I worked my way to the outside and settled in to scan. It wasn’t a particularly birdy trip on the way out. A few gulls and terns, some pelicans, an Osprey, and a couple others were about it. The others were fairly good, being a Blue-winged Teal about 30 minutes out and a full adult Pomarine Jaeger a little later. The island’s well described in books, so I’ll skip writing about it and just show some photos. 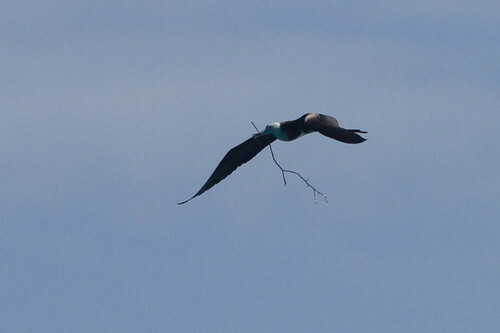 The ride back was quieter (other than one close pass of a Masked Booby). We arrived around 5:30 and I walked over to Mallory Square. I intended to wait for sunset, but it was overly tacky and I was getting hungry. I wandered around a bit looking for a sandwich shop or something but eventually settled for a couple slices of pizza. I got up early and decided to take a quick drive around to look for exotics. I did succeed in finding a couple mynas but I was in traffic and didn’t get enough of a view to say Hill or Common. Otherwise, two distant parrots were it (plus Muscovy, but I’m waiting for some in Texas). Stopping at a market for snacks and water, I watched 2 Sharp-shinned Hawks overhead. After a stop at the hotel for breakfast and to gather up my things, I headed for the Everglades. I should have stopped on the way for a displaying cowbird (guessing Bronzed) but didn’t bother. It was still very windy and there wasn’t much along the road. After passing the entrance gate (and a quick stop for a low Red-shouldered Hawk), I headed to the Royal Palm area. 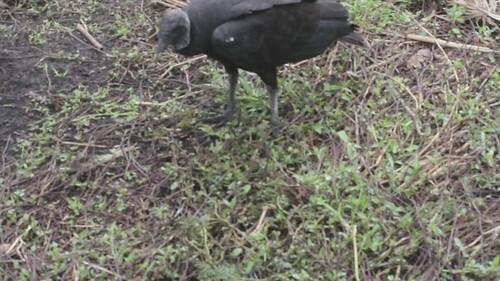 On the Anhinga Trail, there were all sorts of waterbirds, plus many Black Vultures. 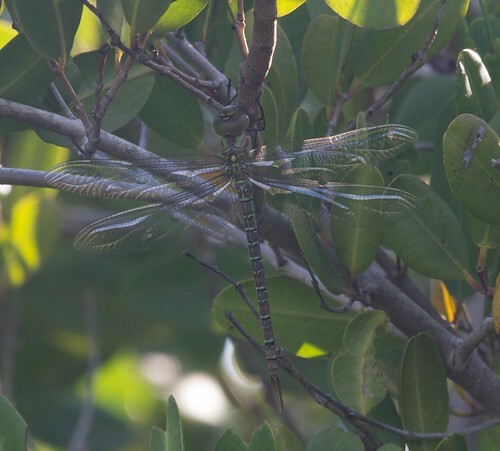 I also walked the Limbo Gumbo Trail, which was pretty quiet, but I did see a Cyrano Darner. Moving on, I stopped again at the Mahogany Hammock, which was too windy. 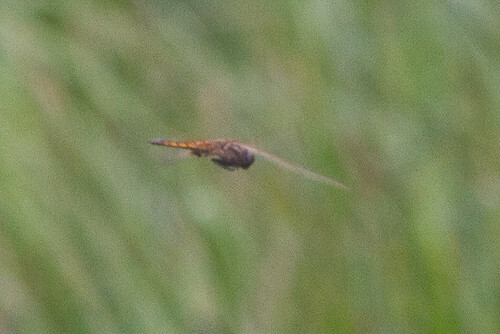 There were a few Four-spotted Pennants and an Everglades Sprite, but birds were very limited. 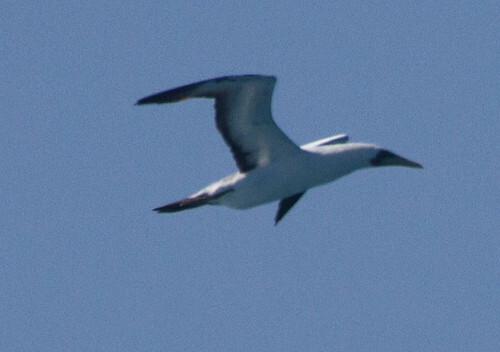 I continued on towards the various ponds, picking up my first lifer on the way when several Swallow-tailed Kites flew over. Most of the ponds were pretty empty, but there were a ton of birds at Mrazek. Unfortunately it was too windy for the scope, but I picked out a variety of shorebirds including a Black-necked Stilt and both yellowlegs and various dabbling ducks. Reaching Flamingo, I walked the Eco Pond, which was loaded with Great Southern Whites (and lots of calling White-eyed Vireos) plus a few more waders. Getting hungry (it was after 12:00), I headed back to Flamingo. Although right into the wind, I noticed the shorebird roost was visible and that the tide was coming in and birds were leaving. I ran back for the scope and picked out a few Marbled Godwits among the Willets, pelicans, and Laughing Gulls but most of the birds left before I could go through them. 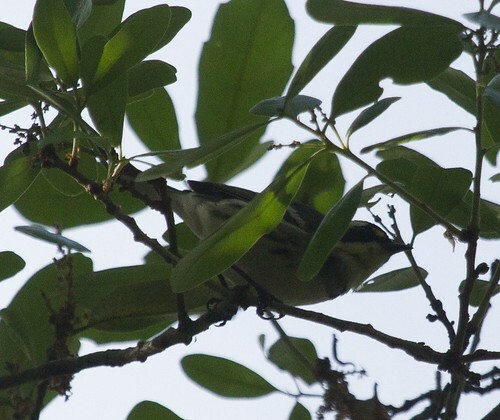 I debated stopping at the cafe, but instead grabbed an ice cream sandwich from the store and headed to the Rowdy Bend Trail, where a Black-throated Gray Warbler had been reported. It was very hot by now and there wasn’t much activity. In fact, I saw about 10 birds total. 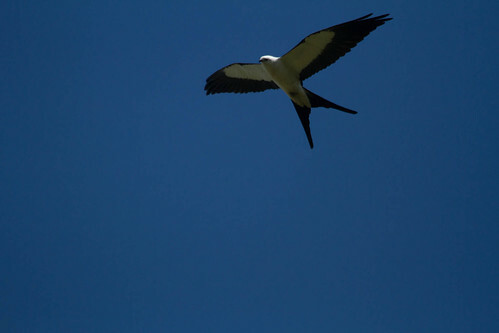 Five of them were Swallow-tailed Kites, which allowed for some photos. 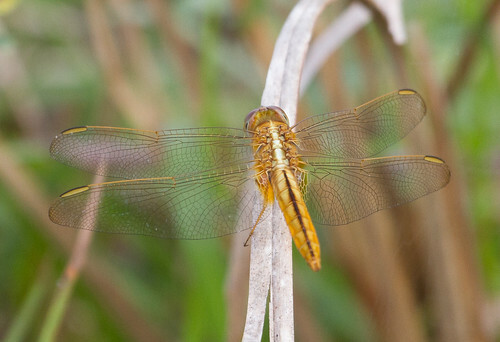 I also had some decent bugs including a Cassius Blue and several Needham’s Skimmers. From here, I headed out and began the drive to Key West. On the way, kingfishers were on the wires like Kestrels in south Texas but there wasn’t too much else of note. I eventually needed a stop and pulled into the nature trail of the Key Deer NWR. 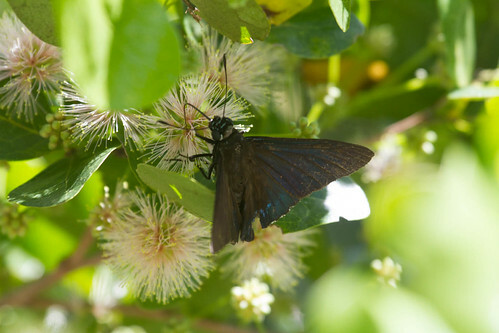 It had recently burned and was late afternoon and almost nothing was around. 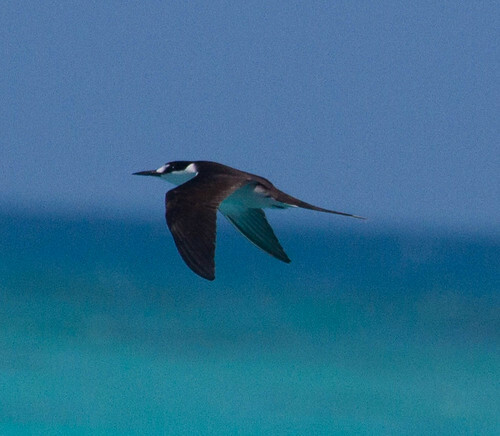 I did see one Saddlebags that appeared to be an Antillean but very little else. Reaching Key West, I found the hotel and learned that there was a shuttle service to downtown. After showering, I hopped on and followed the crowd to BO’s Fish Wagon. I had the grouper sandwich, which was good although tough to tell how different it was. After eating, I caught the shuttle back (and got the doors closed on my hand in the process, mostly my fault) and went pretty much straight to bed. A morning flight to Ft. Lauderdale via Atlanta was easy (other than the long wait for baggage checkin at Logan) with nothing of note seen. After picking up the car, I headed for Bill Baggs Cape Florida State Park, where a La Sagra’s Flycatcher (and Great Cormorant) were being seen. 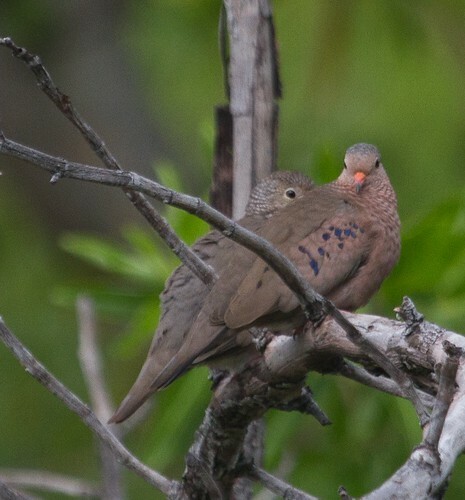 Late afternoon wasn’t the best time (plus it was quite windy and there was a shower moving through), but I started down the nature trail and was immediately greeted by a pair of Common Ground-Doves. 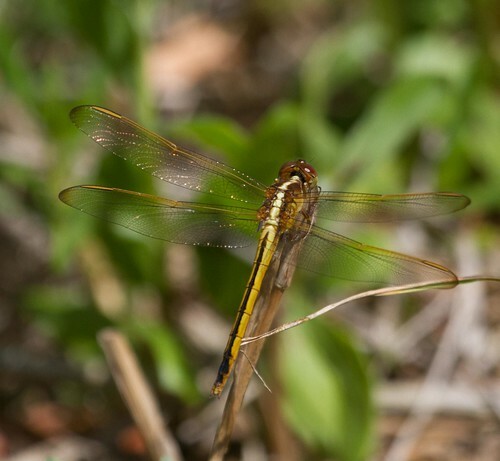 Wandering down the trail, I didn’t find a whole lot but did get the first butterflies (Gulf Fritillary and Julia) and dragonflies (all Band-winged Meadowhawks). Birds were pretty few. At the far end of the trail, I found a small flock of warblers including Palm, Black-and-white, Parula, and Prairie. I also had another small bird that had clearly gotten soaked in the rain. My initial impression was Nashville Warbler, but it eventually turned around and had a bill that was way too thick, a Painted Bunting! Unfortunately it didn’t hang around for photos. 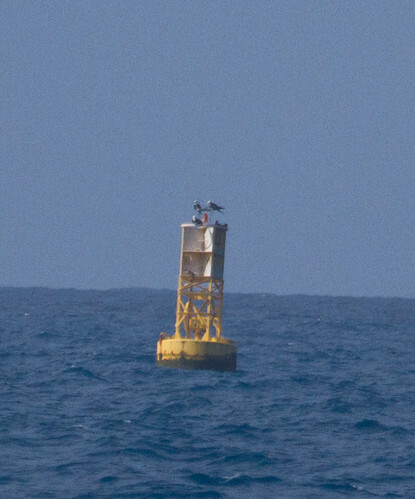 After a few loops up and down the trail, I gave up temporarily on the flycatcher and decided to walk over to the lighthouse for the Great Cormorant. The wind was blasting off the water and it was almost impossible to look out. 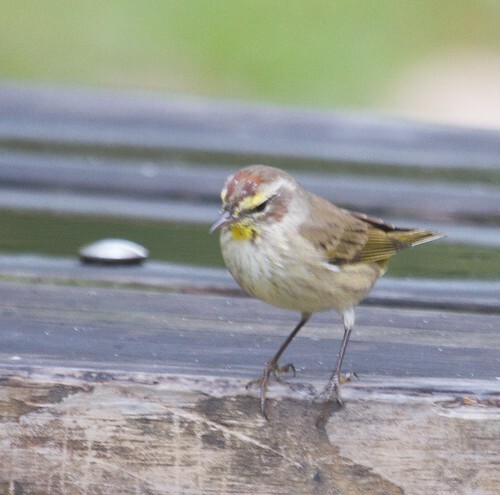 No cormorant to be found, but a Palm Warbler posed nicely. Another couple loops of the trail only turned up some lizards before I decided to give up and move on. Things went a bit downhill from here. I decided to head towards Homestead to be close to the Everglades for tomorrow and the route down was straight US-1, which has traffic light every 1/2 mile or so (and it was rush hour). Reaching Homestead, I went looking for a hotel and promptly found that all three I checked had no vacancy. Getting a little worried, I stopped at a McDonald’s and pulled up hotels.com on my phone while eating. I found something reasonable back in Kendall (10-15 miles north) and booked it. I arrived to find that it was a smoking room (although I barely noticed any odor thankfully) and my room was the closest to the highway with minimal soundproofing. It didn’t matter too much, I was tired enough.